May 3 Reckless: Henry Kissinger and the Tragedy of Vietnam Robert K. Brigham Vassar College yes RR, ? Joseph Fitsanakis specializes in intelligence and national security with an emphasis on international espionage. He has taught and written extensively on intelligence policy and practice, intelligence history, communications interception, cyber espionage, and transnational criminal networks. His writings have been translated into several languages and referenced in media outlets including The Washington Post, BBC, ABC, NPR, Newsweek, The Guardian, Le Monde Diplomatique, and Wired. Before joining Coastal Carolina University, Dr. Fitsanakis built the Security and Intelligence Studies program at King University, where he also directed the King Institute for Security and Intelligence Studies. At Coastal, he teaches courses on national security, intelligence communications, intelligence analysis, intelligence operations, and espionage during the Cold War, among other subjects. Dr. Fitsanakis is also deputy director of the European Intelligence Academy and senior editor at intelNews.org, an ACI-indexed scholarly blog that is cataloged through the United States Library of Congress. Mark Kramer is Director of Cold War Studies at Harvard University and a Senior Fellow of Harvard's Davis Center for Russian and Eurasian Studies. Originally trained in mathematics, he went on to study international relations as a Rhodes Scholar at Oxford University and was also an Academy Fellow in Harvard's Academy of International and Area Studies. He has published many books and articles. His latest books are Imposing, Maintaining, and Tearing Open the Iron Curtain: The Cold War and East‐Central Europe, 1945‐1990 (2013), Reassessing History on Two Continents (2013), Der Kreml und die Wende 1989 (2014), and Der Kreml und die Wiedervereinigung (2015), and he is also the editor of a three‐volume collection, The Fate of Communist Regimes, 1989‐1991, to be published in late 2016. Mark Mazzetti is a correspondent for The New York Times, where he has covered national security from the newspaper's Washington bureau since April 2006. In 2009, he shared a Pulitzer Prize for reporting on the intensifying violence in Pakistan and Afghanistan and Washington's response. The previous year, he was a Pulitzer finalist for revelations about the C.I.A. 's detention and interrogation program. He is the author of The Way of the Knife (Penguin 2013) a bestselling account of the CIA's covert action forces. Since the Sept. 11 attacks, he has made several reporting trips to Afghanistan, Iraq and the Horn of Africa. Mazzetti received a 2011 Polk Award (with colleague Dexter Filkins) for coverage of Afghanistan and Pakistan, and was the recipient of the 2006 Gerald R Ford Prize for Distinguished Reporting on National Defense. Lessons Learned by the Ottoman Army from the Balkan Wars Prof. Edward Erickson Command and Staff College, Marine Corps University in Quantico, Virginia. The Price of Victory: The Invasion and Conquest of Serbia, 1915 Prof. Richard L. DiNardo Command and Staff College, Marine Corps University in Quantico, Virginia. 12th Avenue and 46th St.
1917-1918 and 1941-45 Thomas Reppetto formerly the John Jay College of Criminal Justice. 16-Apr CUNY Graduate Center, 365 Fifth Ave (34thSt),Segal Theater, Lobby Floor The Next Generation Interviews the "Greatest" Generation Students of the Gateway School discuss their interviews with WWII veterans Co-sponsored by NYMAS and the CUNY Graduate Center History Dept. Sept. 26 Transformative Military Innovation: Why Only Some Military Organizations, Some of the Time? Feb 1 The Gorlice-Tarnow Offensive, May 1915. The Influence of the Russo-Japanese War on U.S. Army Doctrine. USMA, formerly a tactical battalion commander in Baghdad in 2006. Was the Nineteenth-Century Army Isolated from American Society? Sept 15 Switzerland 1799: Turning Point of the French Revolutionary Wars Alex Stavropoulos GC/CUNY. NYMAS talks are free and open to the public. They are held on Friday evenings at the City University of New York Graduate Center, at 365 Fifth Avenue between 34th and 35th Streets from 7:00 p.m. to 9:00 p.m. These Friday lectures are usually held on the 6th floor in Room 6-495, but confirmation of the room number should be obtained from the guard at the street-level entrance. These talks are sponsored by the New York Military Affairs Symposium in conjunction with CUNY's Conference on History and Politics, Dr. George D. Schwab, Director. 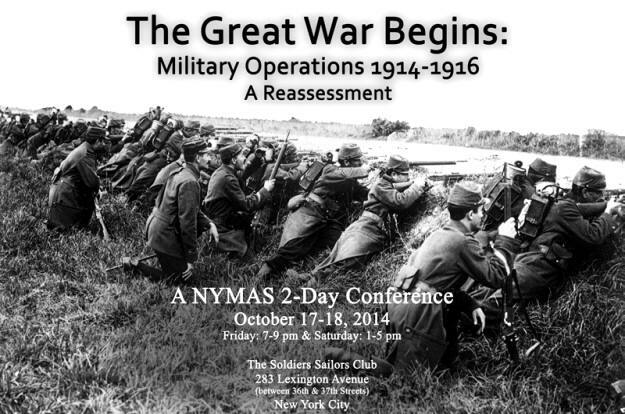 NYMAS is associated with the Society for Military History, Region 2. NYMAS / CUNY Graduate Center History Dept. CUNY, GC , History Dept. Talks are held, except as noted, on Friday evenings at the City University of New York Graduate Center at 365 Fifth Avenue between 34th and 35th Streets in midtown Manhattan from 7:00 p.m. to 9:00 p.m. These Friday lectures are usually held on the 6th floor in Room 6-495, but confirmation of the room number should be obtained from the guard at the street-level entrance. 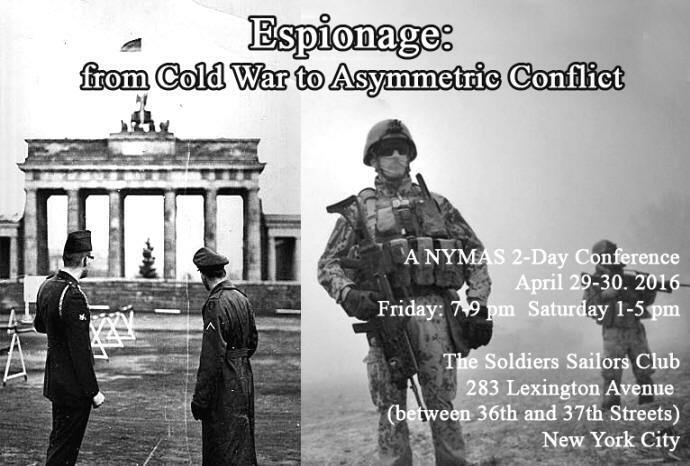 NYMAS talks at the CUNY Graduate Center are sponsored by the New York Military Affairs Symposium in conjunction with CUNY's Conference on History and Politics, Dr. George D. Schwab, Director. NYMAS is associated with the Society for Military History, Region 2. Topics and speakers may be subject to change without notice. A current updated schedule is available at the NYMAS website at nymas.org. Henry V’s Strategy in 1415: Was Agincourt an Accident? Topics and speakers may be subject to change without notice. A current updated schedule is available at the NYMAS website at http://nymas.org. Cornwallis and the Slaves of Virginia : A New Look at the Yorktown Campaign. Screening and Q&A "WE WERE IN IT TOO: American Jewish Women Veterans Remember World War II"
Talks are held, except as noted, on Friday evenings at the City University of New York Graduate Center, at 365 Fifth Avenue between 34th and 35th Streets in midtown Manhattan from 7:00 p.m. to 9:00 p.m. These Friday lectures are usually held on the 6th floor in Room 6-495, but confirmation of the room number should be obtained from the guard at the street-level entrance. 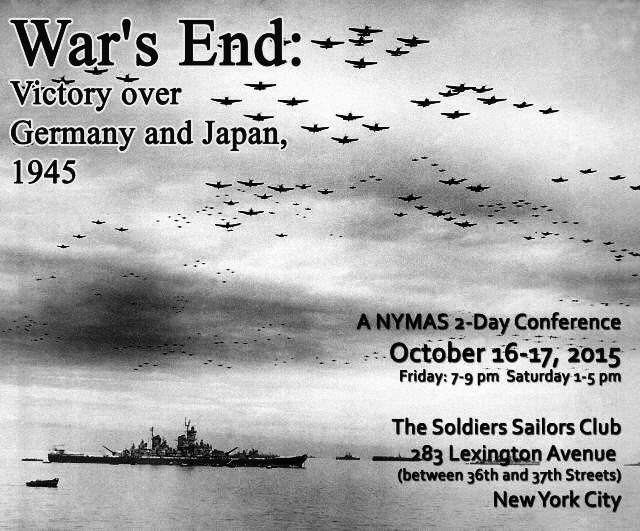 NYMAS talks at the CUNY Graduate Center are sponsored by the New York Military Affairs Symposium in conjunction with CUNY's Conference on History and Politics, Dr. George D. Schwab, Director. 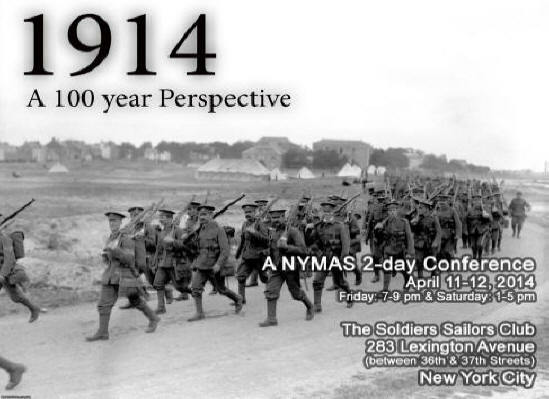 NYMAS is associated with the Society for Military History, Region 2. Conflicting Missions: Havana , Washington , and Africa , 1959-1976. Friday evening: "The Soviet-German War, 1941-1945: Myths and Realities" Saturday daytime: " Leningrad : Four Years of Struggle"
Operation Brunswick - Could it have ended the war by mid-'43? What accounts for the recent American failure in intelligence collection, evaluation and effective response? The U.S. Army in WW II: Kent Roberts Greenfield and the creation of the "Green Book"
NYMAS talks are free and open to the public. They are held, except as noted, on Friday evenings at the City University of New York Graduate Center, at 365 Fifth Avenue between 34th and 35th Streets from 7:00 p.m. to 9:00 p.m. These Friday lectures are usually held on the 6th floor in Room 6-495, but confirmation of the room number should be obtained from the guard at the street-level entrance. 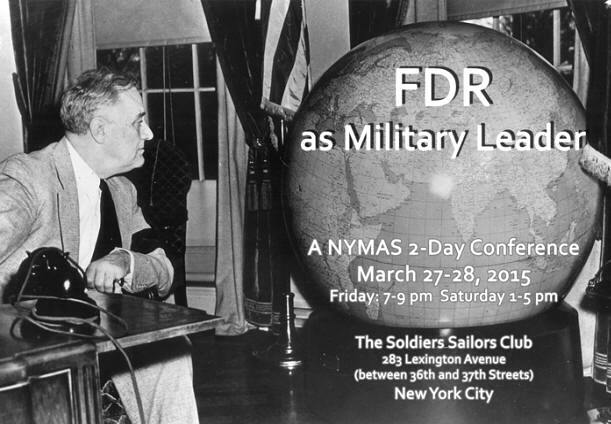 These talks are sponsored by the New York Military Affairs Symposium in conjunction with CUNY's Conference on History and Politics, Dr. George D. Schwab, Director. Support has also been provided by the CUNY students' CUMHDAS group and the CUNY Veterans Affairs Office. NYMAS is associated with the Society for Military History (Region 2). Pursuit Ships before the P-1: U.S. Army Single-Engine Combat Aircraft in the Immediate Post-WW1 Period. Distinguished Service Professor of History, University of Fl. Operation Fortitude: Has Its Contribution to Victory in Normandy Been Overrated? Please note that the June 15th talk has been cancelled. The Fall season begins on September 7th.